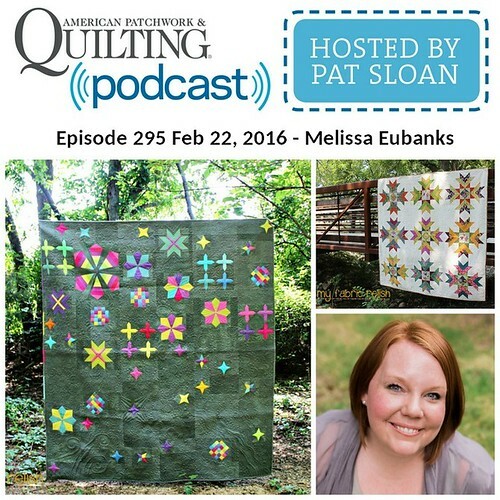 It's that time of year again - QuiltCon! I was lucky to attend the past two years but this year I decided to not go. 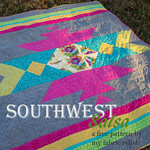 I would have loved to visit Savannah and see friends and all the quilts but I also wanted to save my quilting travel money for other things (like Tula at Craft South next month!). I am excited to stalk Instagram all weekend to see all the fun being had, though! 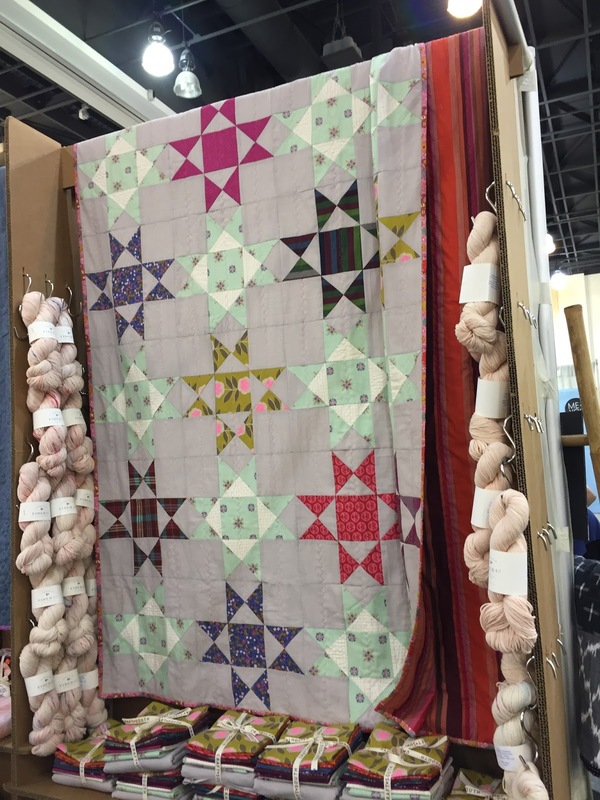 Also, if you didn't know this already, Craft South is a quilt shop in Nashville owned by Anna Maria Horner. And if you didn't know, Anna Maria Horner is my JAM! I LOVE her fabrics and her style! I was also thrilled it was all kitted and ready to get tucked into my suitcase. 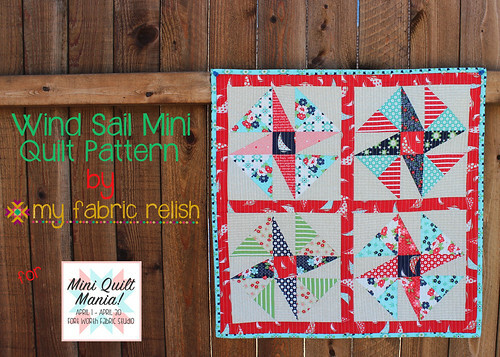 The kit is based off the Ohio Star block from the Creativebug quilt block series by Heather Jones and kitted by Anna Maria Horner for her shop. Like most fabrics and kits, it sat in my beautiful cabinet for almost 6 months but used Sewtopia (retreat) as my excuse to finally get it made. I am so happy she is finished. I plan to make this my new favorite sofa quilt. 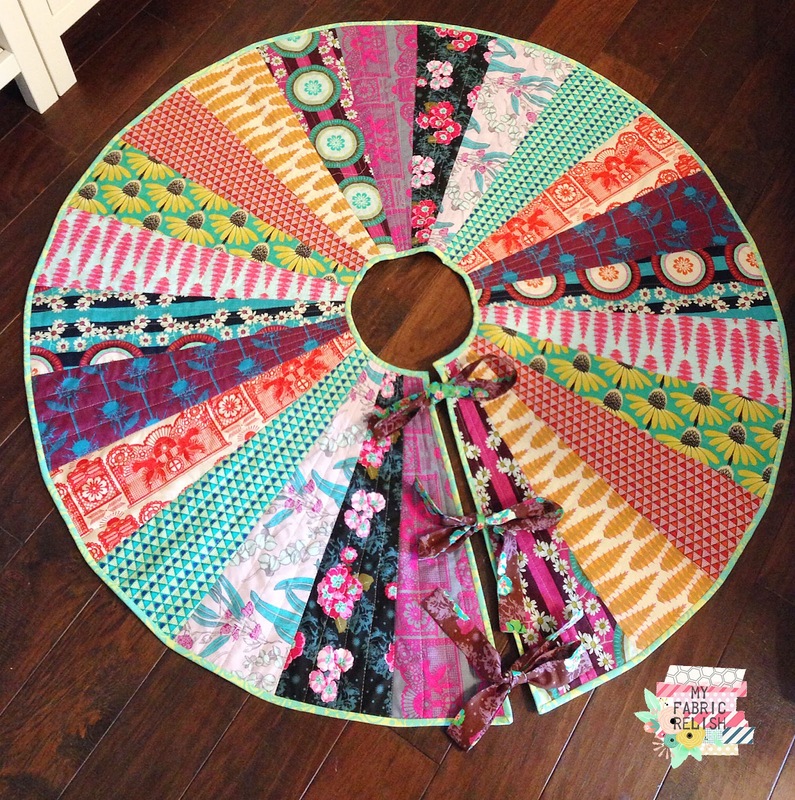 I quilted it using Modern Twist pantograph by Patricia E. Ritter for Urban Elementz. 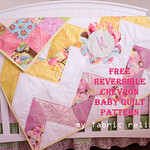 For more on my longarm services, check out my website www.relishquilting.com. 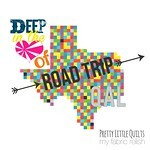 If you want to check out my album from last years QuiltCon, you can go here. I tried to take a picture of every quilt hanging, including the guild charity quilts. I have to say I absolutely loved going to this place the other night. The people that work at event venues Chicago were trying to create an optimal dinner experience while making your choices their priority. I would definitely recommend this venue for any kind of fancy event.